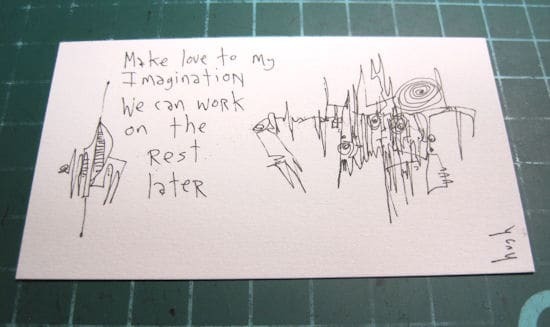 Today’s “Daily Bizcard” design, “Make Love To My Imagination”, goes to my art-world buddy in Toronto, Amrita Chandra. Amrita ran her own art gallery for a while, which is how we first got talking. We were on the same SXSW panel earlier this year, talking about how Web 2.0 affects the art world. She has some very interesting thoughts on the subject. She also has a day job as Marketing Director for Asigra, a computer cloud backup service. I guess we’ve been kindred spirits in this whole “Art World 2.0” thing for a while now. It’s still early days for us all, but there’s A LOT of artists currently out there, trying to figure this new world out. An exciting time to be alive. 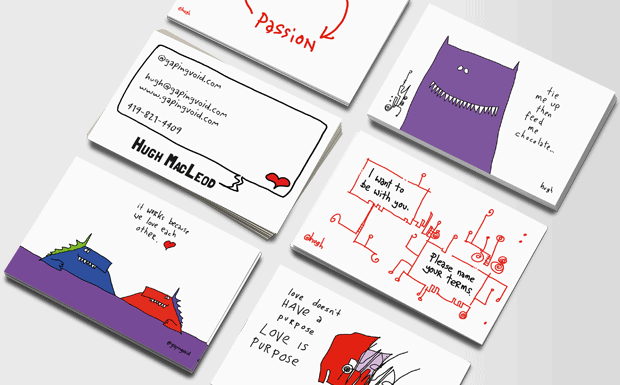 I don’t know how you do it but all of your Daily Bizcards seem to capture the essence of the person you’re profiling spot on. 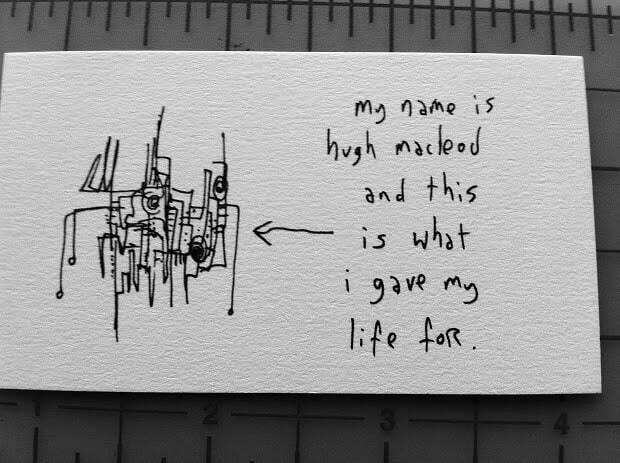 This card is *so* me. Thank you for this! This is awesome. I’ve been following your blog ever since Amrita introduced me to your work. I’ve got to say, based on the 9 or 10 months that I’ve known her, I can’t think of a better phrase (sorry, for the lack of a better word) that captures who she really is. Now, I’m off to try this line on some women. I absolutely love this, and this phrase rings through my head for days now. I simply wish there was more of it. Found your site through Jerry last year while he was rolfing my existence. His blog has inspired me to translate some of his work/ideas into images, but sadly disqus doesn’t do pictures. I have a feeling you may know some friends in Marfa. I kinda want one now! Hi Jasmine! I like the live chat support feature of omni. It makes them accessible to the customers anytime and anywhere. I knew my two hours of frustration and hard work would help someone Thanks for letting me know. Dear Brett, thanks for your as informative as always post.